My husband and I are just back from a most wonderful week in Noway. 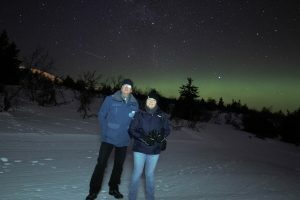 We went to ski and the skiing was wonderful, but the highlight of the week was an night-time excursion to see the stars. Armed with binoculars and with our guide, Tim (an enthusiastic Englishman with a passion for photography and astronomy), we gazed in silent awe at Orion, said hello to Cassiopeia, and waved at our neighbours in the Andromeda Galaxy. Hello, Andromeda, can you see us? The news has not been good this week. I wish we could all look up at the stars and remember how small and how precious our world is. 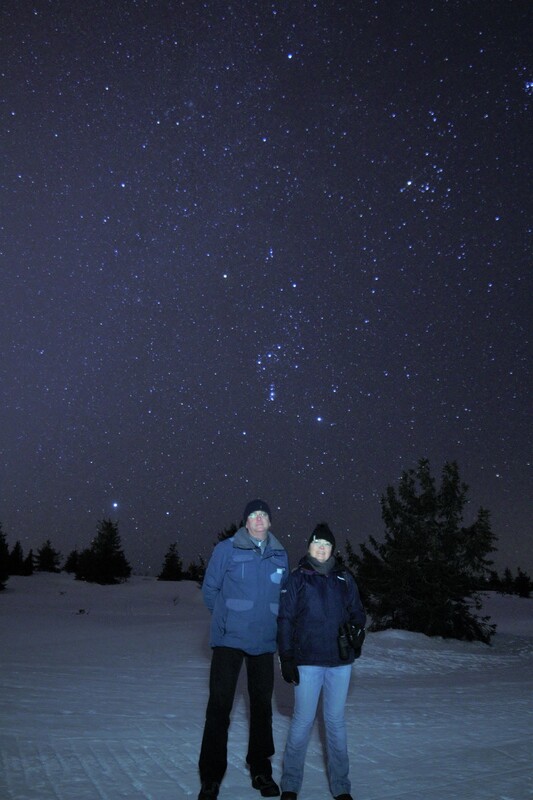 And, if you ever find yourself in Trysil, look up Tim and go star-hunting.